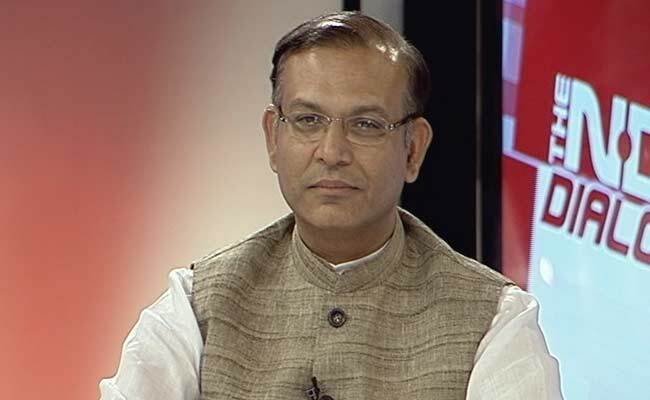 Dispelling all the worries surrounding Indian economy amid an international slowdown, Jayant Sinha stated that the NDA Government is all set to take the Indian Economy to the next level. Mr. Sinha described the important schemes like Make in India, Skill India, Mudra Bank Yojana, Startup India and stated that the government is working relentlessly to make sure they create enough job opportunities through their people friendly economic strategies. Mr. Sinha noted the Make in India scheme as a game changer as companies like Ford and Foxconn are coming to India which will generate more job opportunities. He thought that Prime Minister’s Skill India and Startup India will create more job opportunities for the youths. And considering the schemes, he mentioned that the best of Indian economy is yet to unfold. The minister urged that inflation has gone down significantly in the last 16 months and added that BJP led NDA government is a government which is always in favor of the poor people but he also urged that the government needed to carry their strategy to people more aggressively. The minister said that GST bill is blocked due to Congress’s attitude and also mentioned that their economic agenda is concerned but it is not about the GST Bill only. He also urged the Congress to sit with them and discuss their concerns rather than blocking the bill. He also mentioned that their economic agenda is moving across and they have achieved a lot in terms of the country’s economy. Recently BJP leader Arun Shourie gave a statement criticizing the Modi Government’s policies. In response to that comment the minister mentioned that he respected Arun Shourie but he also felt that his statement was unquestionably baseless. He also urged Arun to compare their economic policies with the Congress. He felt that they are far more ahead than the Congress and mentioned that The Modi Government is a Pro-poor government and its main initiative is to create more job opportunities. Arun Shourie harshly attacked the Modi government and mentioned that the government only managed the headlines rather than managing the economy.. The controversy that bounded the Modi Government from every corner is Beef controversy. Commenting on the controversy, the minister mentioned that both PM Narendra Modi and Home Minister Rajnath Singh has always vowed to guard legitimate and human rights of everyone. He mentioned that beef is not banned in India though cow slaughter is banned in few states of the country. The minister was fully confident that the alliance led by BJP will form the next government in Bihar. He also was aware of the challenges posed by Lalu-Nitish and he said that he knows what will happen to them on November 8, when the counting of votes will be done and dusted. MUDRA Bill: A Victim Of Delay! It Is Politics prevailing instead of Economics?